One of Colorado’s most popular skiing and snowboarding destinations, Steamboat Springs still serves up a serious amount of fun for summertime visitors, especially if you happen to like cowboy hats. The Wild West is alive and kicking in the hills of Steamboat Springs. 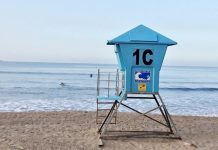 Over the summer you can skip the ski slopes and head for the campgrounds, taking in the beautiful mountain scenes and the amazing Yampa River. Try a whitewater rafting tour or even grab an inner tube and go tubing down the Yampa. Or you can head straight to the springs for which the town gets its name. 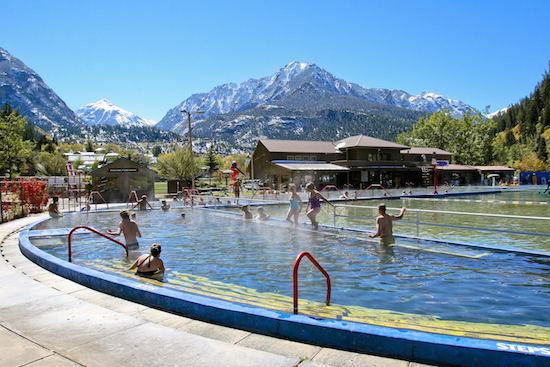 If you’re looking for an intimate, authentic spring experience, check out Strawberry Park Hot Springs. These natural hot springs will heal you in no time. 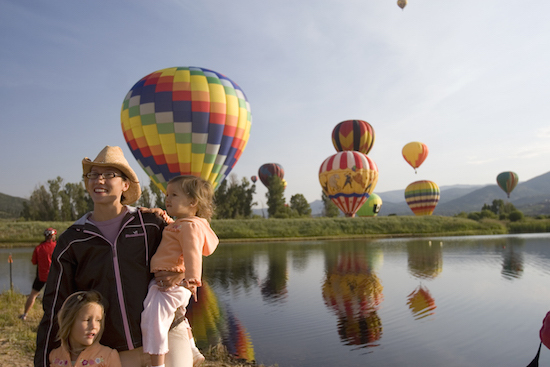 If you can, try and schedule your trip to Steamboat Springs during the town’s annual Hot Air Balloon Rodeo and Art in the Park festival. Typically held in late June/early July, the Hot Air Balloon Rodeo features a wide array of balloons, including some shaped like cowboys and turkeys and everything in between. Often hailed as the Switzerland of America, Ouray is another “can’t miss” stop on your summer mountain town tour of Colorado. Located a little further south in the heart of the snow-capped San Juan Mountains, Ouray is a great place to take a soak in the natural hot springs or get up close and personal with some of the beautiful waterfalls that sprinkle the region. The wildflowers alone are enough to bring tourists coming back to the quaint mountain town of just over a thousand people. There are many hikes available, some beginning at the edge of town. If you want more in-depth knowledge of the town’s gold and silver history, you can check out the Bachelor Syracuse Mine. There you can see what it was like to be a miner back in the day. Ouray offers several historic walking tours, many quaint shops on the main strip and even has its own ghost tour which you can enjoy during the day or in the evening, if you’re feeling brave. If you want to cleanse your spirit, stop by the vapor caves and relax in this sweet little mini-Switzerland. If you’re looking for the quintessential mountain town experience, look no further than Telluride, Colorado. Filled with historic buildings from Colorado’s Old West era, this former mining region has become a hub for artists, athletes and adventure seekers. The town is tucked away in an isolated box canyon, far removed from the hubbub of city life. 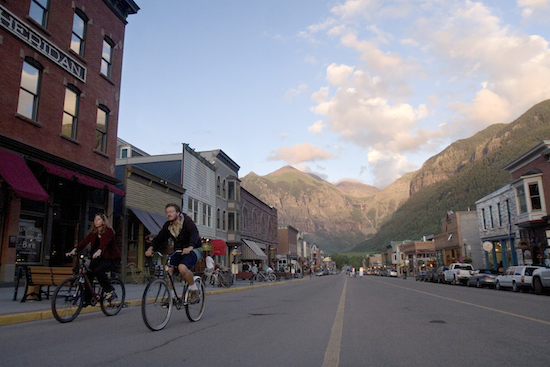 Surrounded by steep forested peaks, Telluride has always moved to the beat of its own drum – and that’s part of its charm. Telluride has a busy summer schedule of unique festivals. 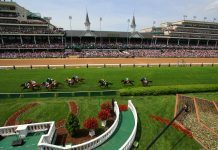 The town’s annual Bluegrass Festival happens each June, bringing numerous bluegrass bands to the region for a little outdoor fun in the sun in the town’s outdoor amphitheater. You can ride the ski gondola up the mountain in the summer to view the tiny town from above. Or go even further to the top of the mountain for a glorious view of the San Juan Mountains. Or you could hike to Bridal Veil Falls, Colorado’s longest free-falling waterfall. 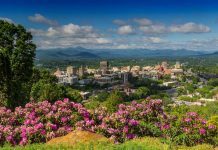 The region is popular with fishermen, hikers, golfers and bikers. Summertime in Telluride means spending every possible moment outside enjoying the great outdoors. Who knows – maybe you’ll be so busy you’ll play right through summer and be in the perfect place to kick off your ski season!